Adults who are at risk of placement in an Adult Care Home may qualify for assistance to remain at home instead. The Special Assistance In-Home Program (SA/IH) can help qualified individuals who are assessed as having a safe home environment and demonstrated need for additional financial supports and services, to continue living independently. SA/IH can help with essential expenses such as food, shelter, clothing and other daily necessities associated with a private living arrangement. A case manager works with participants to determine the need and purpose for SA/IH assistance. The case manager also monitors to assure the funds are used for the intended purposes and that the participant remains safely at home. 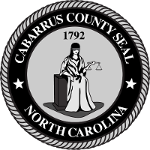 There are a limited number of SA/IH slots available in Cabarrus County and applicants may be placed on a waiting list. Once a slot becomes available, applicants will be advised to fill out an SA/IH Medicaid application and will then be referred to an SA/IH Case Manager for assessment in the home. Individuals may contact the Adult Services Line at 704-920-1400 for questions regarding the SA/IH program.